Do you have a favorite childhood treat that isn’t in stores anymore? I don’t remember what brand they were, but we used to get these shortbread bars that had a layer of chocolate and a sprinkle of candy pieces. Does anyone else remember them? Reese’s has always been one of my favorite candies. I love both their peanut butter cups and Reese’s Pieces. Obviously, peanut butter and chocolate is one of my favorite combos! When I heard that Reese’s had a new peanut butter chocolate spread, I couldn’t wait to try it! 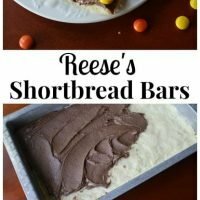 This spread is great for making a quick snack or dessert. You can top it on apples, spread it on toast, and add it to a s’more! This spread also worked great in this recipe! 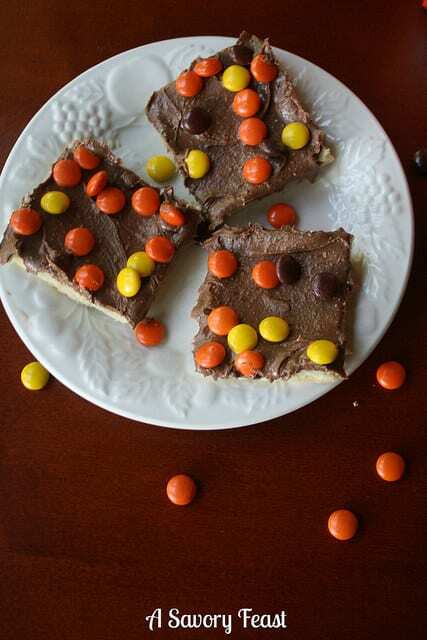 You don’t have to add anything to it, just spread it on top of your shortbread bars and sprinkle with Reese’s Pieces. 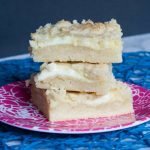 These bars are great for an easy dessert or an afternoon snack. 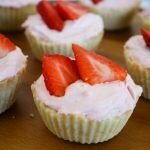 In fact, you don’t need an excuse to make these yummy treats. Go ahead and enjoy them today! Preheat oven to 350. Grease a 9x13 inch pan. Use an electric mixer with the paddle attachment to combine the flour, sugar, butter and salt. Beat until mixture is crumbly, about 4 minutes. Press the shortbread mixture into the pan. Bake until lightly browned, 12 to 15 minutes. Let cool completely. 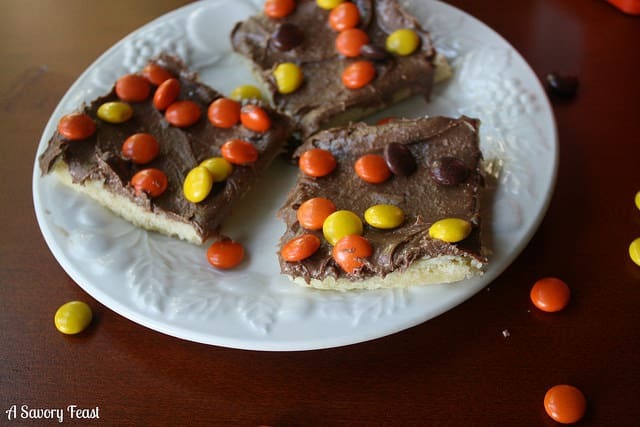 Use a rubber spatula to spread the Reese's spread in an even layer on top of the shortbread. Sprinkle with Reese's Pieces. 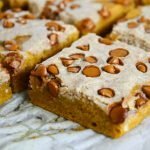 Cut into bars and enjoy! If you can't find the Reese's spread, you can use Nutella or any chocolate spread. 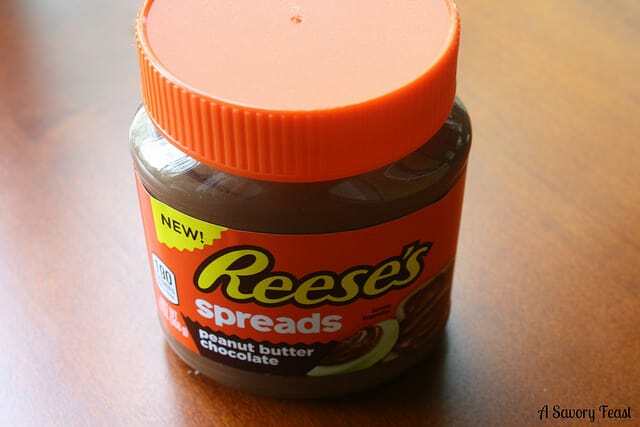 Have you tried Reese’s Spreads? How would you use them in a recipe? I would be pretty excited to get all of these to myself! I shared them with my family and they disappeared so quickly! Uhm…Yum! 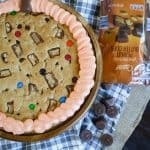 My fiance loves Reese’s, as do I. I pretty sure I’ll be making these over the weekend. Thanks for sharing! Oh yes!! I will be making these soon! Peanut Butter just speaks to me. I have always been a huge fan of Reese’s!! Reese’s is the best! This spread is so yummy. I hope you can find some! I feel like there’s a lot of cereals i used to eat that aren’t really in stores anymore. Or maybe I just haven’t been looking for them lately haha I’ll have to check. Also.. what? I love reese’s and had no idea they had a spread! I feel that way about cereals, too. You’ll never guess what was one of my favorites, though… Reese’s Puffs! Hehe, you will love this spread. It’s soooo good! These look so delicious!! I will definitely have to give them a go! Do it! They are 100% worth the calories. Oh wow talk about a treat that I won’t be able to stop eating!! Sounds soooo good! 🙂 Can’t wait to try this! Watch out, they are addicting! Thanks, Tayler! I hope you enjoy them. Yumm!! These make my mouth water! I absolutely love reeses! Reese’s is the best! These bars are a great way to enjoy the Reese’s flavor. Who in the world can resist such bars? I couldn’t resist! They were just so good. I never should have clicked through to these bars. They look so yummy!! And I have all the ingredients but the Reese’s pieces in my pantry. I’m going to have to make them tomorrow. 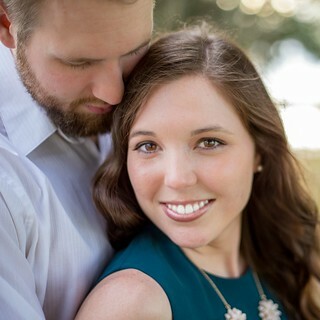 You will love them! They are worth it, believe me. I think these are going to be our date night treat tomorrow!